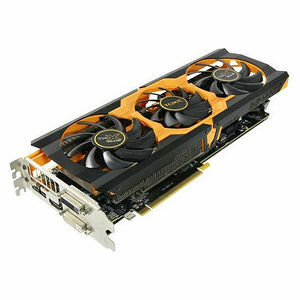 The SAPPHIRE R9 280X TOXIC Edition features the exciting new Tri-X cooler design which uses three sophisticated aerofoil section fans together with industry leading 10mm heatpipes to give unrivalled cooling efficiency. The stylish shroud is designed not only to look cool, but to manage the airflow over the card for maximum cooling effect. This new cooler, together with a high performance 10-phase power management system and high quality components such as the SAPPHIRE exclusive double sided Black Diamond chokes and long-life solid capacitors, has enabled SAPPHIRE to deliver stable higher power levels whilst keeping temperatures low. As a result the TOXIC edition features extreme factory programmed overclocks, delivering the best performance in the industry for this product family. And at the touch of a switch, the user can choose between UEFI and non-UEFI platforms.